With lime prices skyrocketing this year, it may be time to look into alternatives to the classic, lot-o-fresh-lime margarita. But if you’re not ready for a complete cocktail overhaul, this easy peasy margarita that uses a refreshing combo of sparkling limeade, tequila and Cointreau just may be the answer! What’s your favorite tequila cocktail? Let’s talk in the comments or on Facebook or Twitter! Despite the tequila pictured, I wouldn’t go top shelf with your selection here — just something 100% agave! Hornitos, 1800 and El Jimador are a few of my faves. 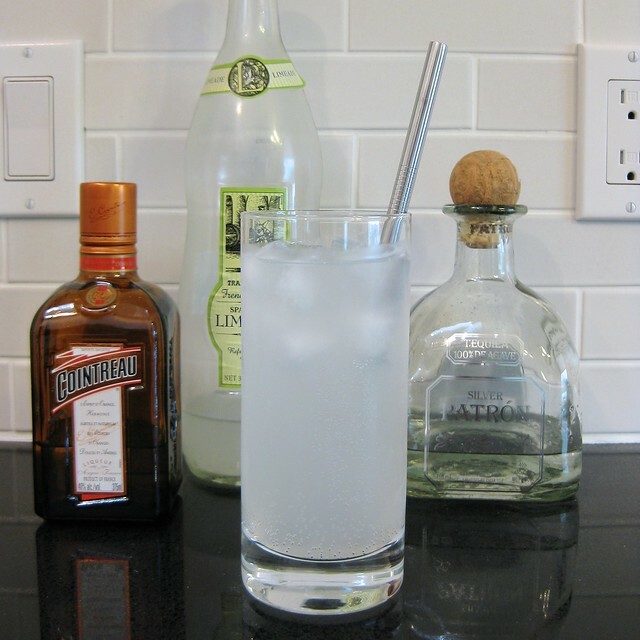 Combine tequila and Cointreau in a cocktail shaker or Mason jar with a cube of ice. Cover, shake and strain into a glass filled with several cubes of ice. Pour sparkling limeade over top, stir gently and serve.